Brock CareerZone Blog: GETTING INVOLVED!! Have you dreamed about getting involved either on campus or in the community? 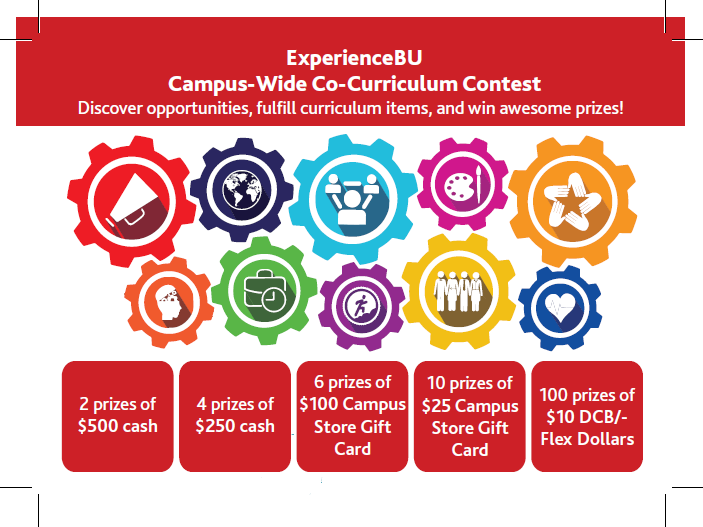 To experience Brock in the best way possible, go through ExperienceBU! ExperienceBU is an online site for Brock students. 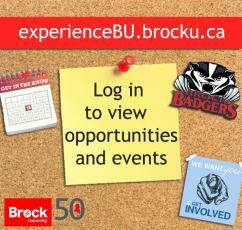 On the page you can learn about clubs at Brock, upcoming events and volunteer opportunities. Additionally, you can locate the campus wide co-curriculum (CWC) here! As a third year student, I can say that getting involved at Brock has been the highlight of my experience in University. Through an on-campus job with Career Services, Involvement with various clubs, and representing Brock University at various conferences I have had the opportunity to fully immerse myself in the Brock community. Through my involvement I met some amazing people who have now become close friends, I've gained valuable skills and experiences, and had a lot of FUN! I could not imagine what my university experience would have been like without getting involved. 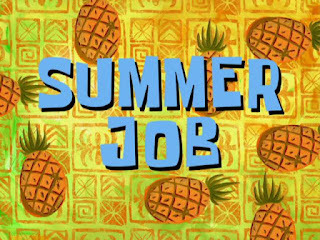 In addition to the aforementioned benefits, I have also had the opportunity to network with industry professionals and gain valuable connections that will benefit me once I begin applying for full-time jobs. When you do decide to get involved, you can track your experiences on two different locations: Experience Plus and ExperienceBU. Experience Plus is located on the my.brocku.ca student portal under student self serve menu – Career Services. This is where you will track your volunteer hours, on-campus jobs, and any professional development. 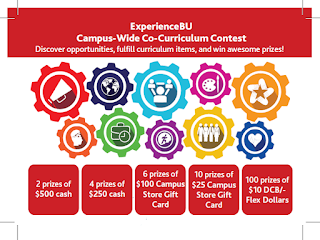 ExperienceBU located at experienceBU.brocku.ca, allows you to locate involvement opportunities and track them through the campus wide co-curriculum (CWC). At every 20% interval of completion of the CWC, you are eligible to be entered into win amazing prizes!! Just another reason why getting involved is so beneficial. At the end of the day, the resources and opportunities are available for you to get involved, it’s up to YOU to take the initiative to look into these opportunities. For further questions or resources about getting involved, drop by the CareerZONE and speak to one of our Career Assistants who would be glad to help you! This is a helpful post for all Universities students....Thanks a lot for sharing this post with us ! This was unknown for me > ExperienceBU is an online site for Brock students! This is a nice post to share.